We invite you to a unique afternoon of fun, art, culture and conversation. You will join with others from different cultures to imagine a Future Belfast that is peaceful, inclusive and thriving. All we ask is that you bring something that symbolises this kind of future Belfast, what that is, is up to you. Together with the help of community artists, we will contribute to making a creative expression that DARE’s to imagine Belfast as a new more vibrant city. We guarantee this will be lively afternoon with entertainers that will inspire and enthuse us and of course this being Belfast there will be a bit of craic. 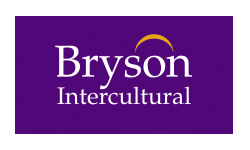 The DARE to Lead Change project (DARE) is led by Bryson Intercultural, in partnership with TIDES Training and Consultancy, funded by the European Union’s PEACE IV Programme, managed by the Special EU Programmes Body (SEUPB).